Dynarange is based on the idea that when a long-term stochastics line crosses 50, it is sometimes a signal that price has traveled roughly half of the move. While based on this insightful observation, DynaRange is the result of extensive research and tuning that has honed the basic concept into a reliable trading tool. DynaRange works on just about every instrument and just about every timeframe. Just look at some examples below. Wanted to send you a short note and let you know that I am happy with your Fib Grid program that you sold me a few weeks back. 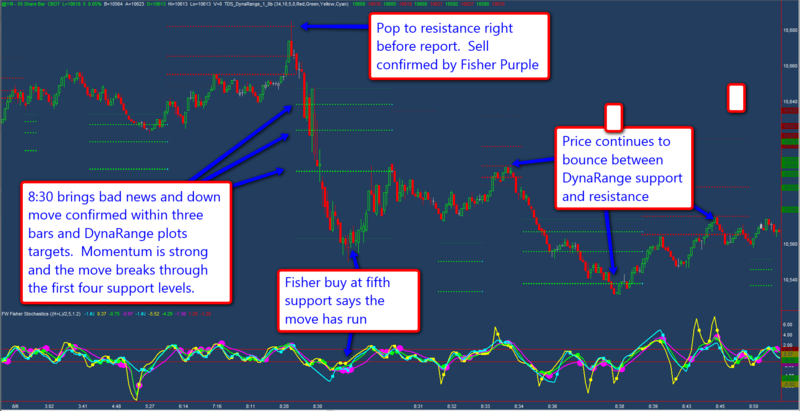 You may know or not know I am only trading Futures ES (still on SIM with goal to go live 1/1). Would your DynaRange be any help to me…if so …could you give me a few words on how and if not do you have any other programs that you think that I may have an interest in. FibGrid and DynaRange work great together. 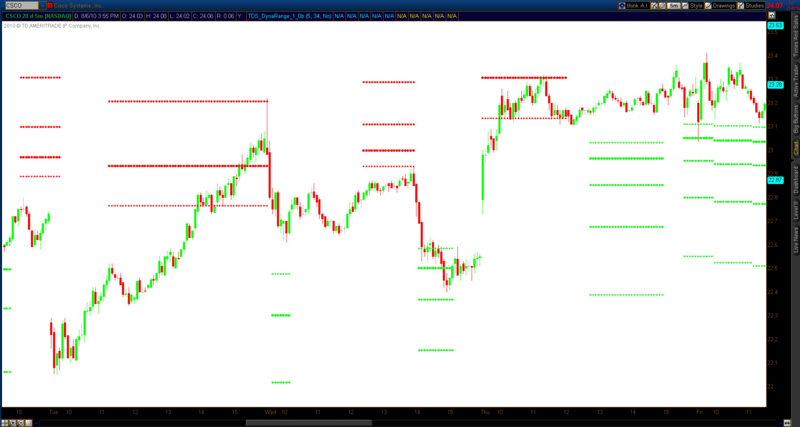 FibGrid levels are all the same across all timeframes. 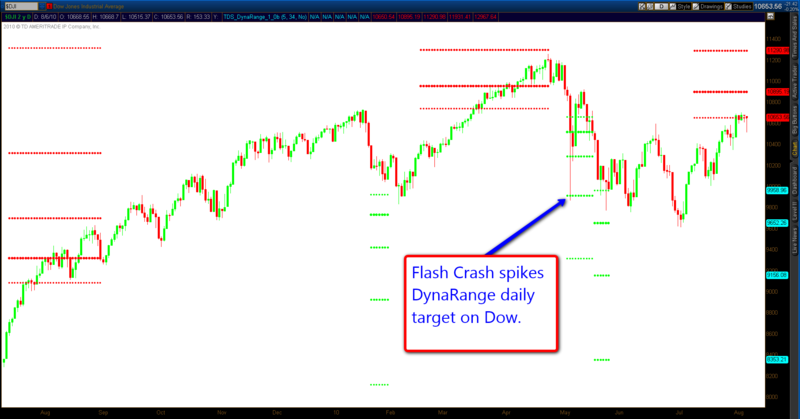 DynaRange levels are specific to the timeframe of the chart you’re looking at. If the two coincide then that’s a reason to pay extra attention. I wrote an which looks at how to use it in some longer-term scenarios. 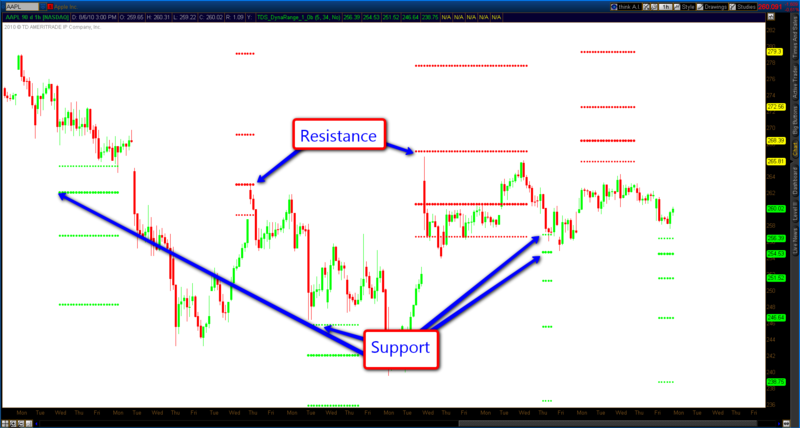 Even for daytrading it is worth reading the article to understand what DynaRange is. 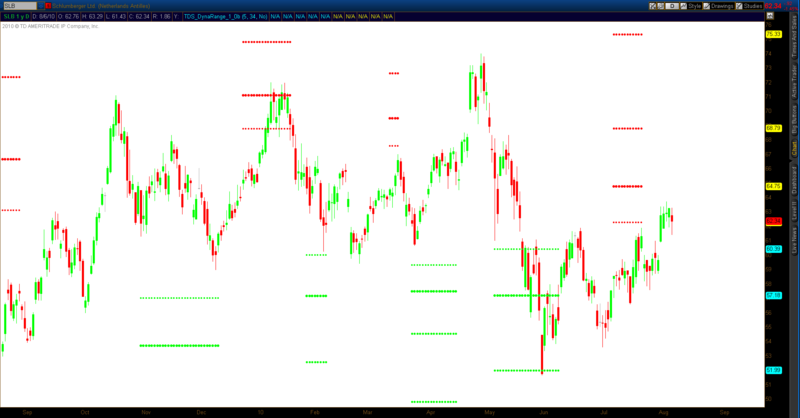 For daytrading I really like using DynaRange on volume charts of the platform supports them or on tick charts. I use them in two ways: 1) For targets where I might take profits; 2) To look for exhaustion in counter-trend moves where I might try to get in for a resumption of the trend. The thing to keep in mind is that in daytrading all of these indicators are merely supplements to your assessment of the style and direction of the day. Then they can serve to help find suitable places to enter the trend.